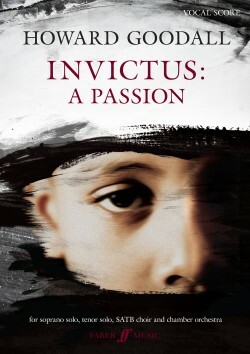 Delighted to announce 2018 will see the world première of INVICTUS: A PASSION will be at St Luke’s Methodist Church Houston TX (https://www.stlukesmethodist.org/) on 25th March (Palm Sunday), conducted by the composer. Its UK première, performed by the Choir of Christ Church Cathedral Oxford, conducted by Stephen Darlington with soloists of The Sixteen (soprano Kirsty Hopkins http://www.kirstyhopkins.com/ and tenor Mark Dobell https://thesixteen.com/team/mark-dobell/) and Oxford Baroque (http://oxfordbaroque.com/) will be at St John’s Smith Square (event link: https://www.sjss.org.uk/events/choir-christ-church-cathedral-oxford-0) a concert that will also be broadcast on Classic fm. The première recording of INVICTUS: A PASSION will be released by Coro Records in the summer (https://thesixteenshop.com/).